The top ribbon contains the motto ‘Self cura est vita’, which is Latin for ‘Self-care is for Life’. The crest beneath the top ribbon contains the letters ISF, the International Self-Care Foundation, bearing wings – the symbol of swiftness and protection. The shield contains four quadrants. The first quadrant show an acorn (the fruit of the oak tree), which is a symbol of independence and strength. The second quadrant shows a rose, a symbol of hope and joy. The third quadrant shows a sprouting tree stump, a symbol of rebirth and regrowth. The fourth quadrant shows a buckle, a symbol of self-defence and protection. On each side of the shield are bears, the symbol of healing and personal health and bravery. The bottom compartment has a ribbon with the International Self-Care Foundation name, sprouting leaves of the oak tree. 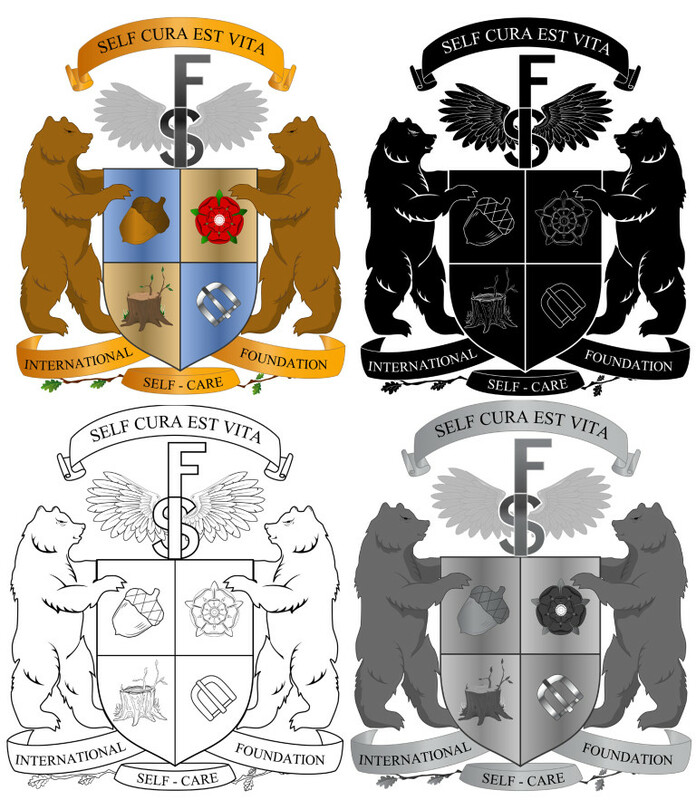 Overall, the ISF Coat of Arms expresses and promotes the power of self-care to protect, preserve and prolong life.